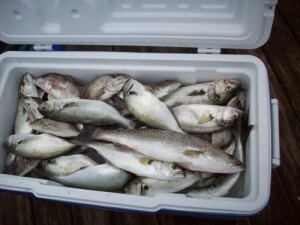 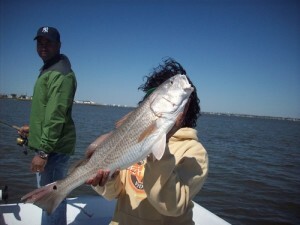 We offer a variety of fishing and exploratory charters to for you. 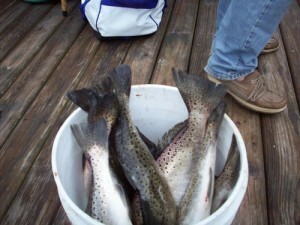 your family, and your friends. 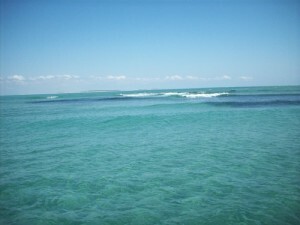 Here you will find descriptions of the different trips we offer. Bring family and friends and book a “Hands On” Eco Trip with Captain Dave Dietzler. 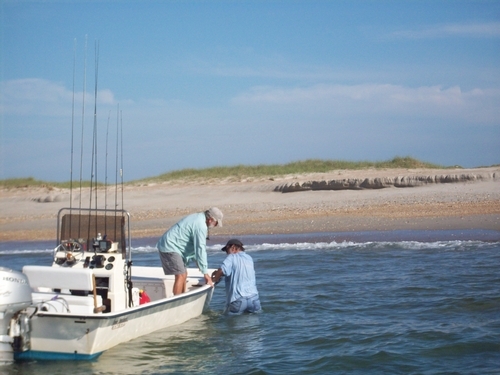 Escape the crowds and come explore the beautiful and diverse waters of the Crystal Coast. 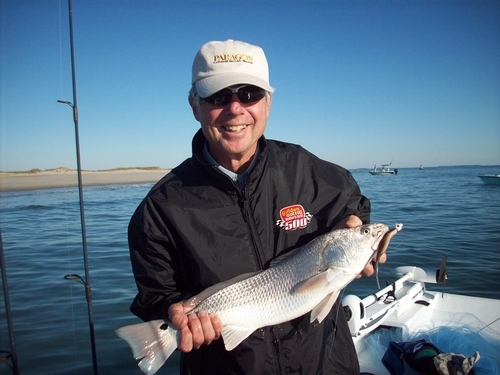 Cruise the backwaters of Bogue Sound, Beaufort Inlet, Back Sound Shackleford Banks, Carrot Island (both have wild ponies) and Cape Lookout. 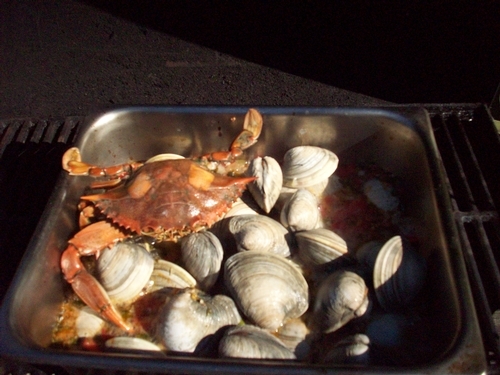 We have clamming and crabbing trips so you and your family can take something back to cook later that evening. 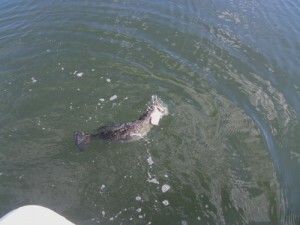 Learn how to throw a cast net and where to catch aquatic life including shrimp. 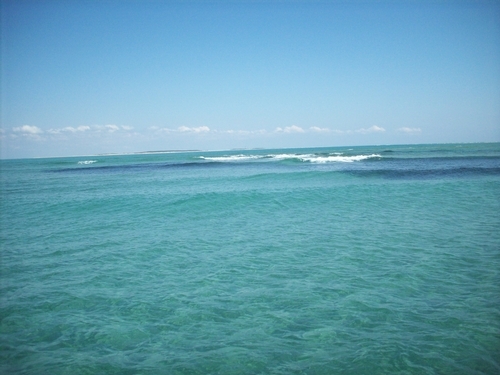 Get your feet wet and collect shells, shark teeth, and sand dollars. 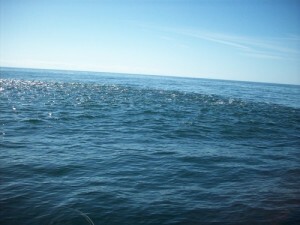 Watch our wonderful dolphin play and feed. 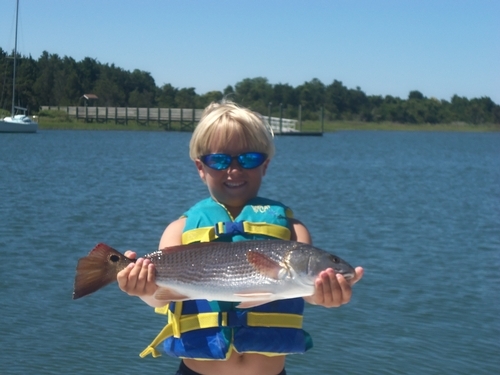 Learn about marshes and the functions of the wetlands and the coastal ecology and what a key roll they play in the water habitat. 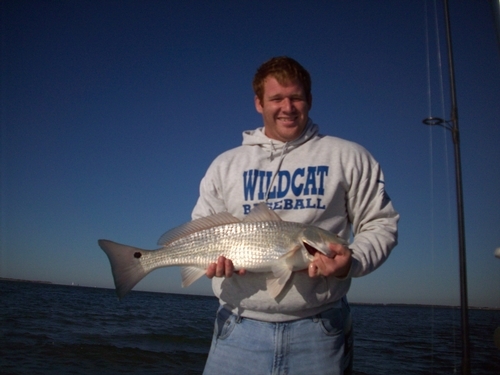 Take a ride to historic Beaufort for lunch or just cruise the intracoastal waterway, it’s your day. 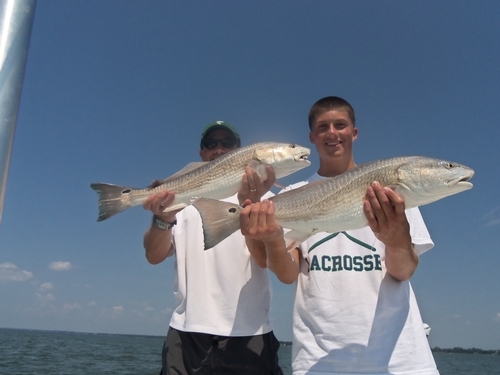 If Stalking Trophy Redfish in Shallow Water is your idea of Exciting Fishing then come spend a day on the water with Cape Lookout Charters. 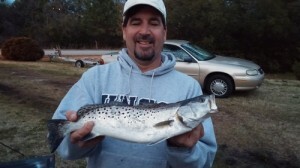 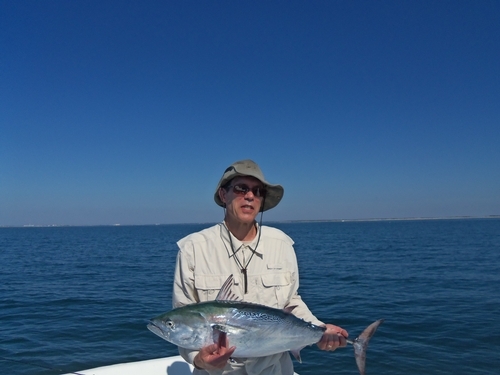 The Inshore waters around Cape Lookout offer Light Tackle & Fly Fishing Year Round!! 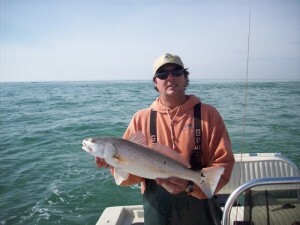 Redfish can be seen, in the clear water, cruising the flats and mudding the bottom in the summer and fall. 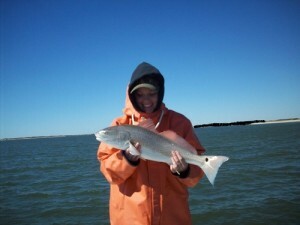 Stalking tailing redfish on flood tides in the Spartina Grass can be very exciting. In the winter and spring we are fishing in the tidal creeks and on the beaches. 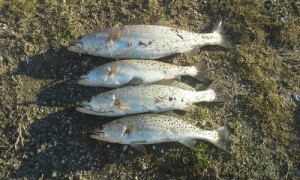 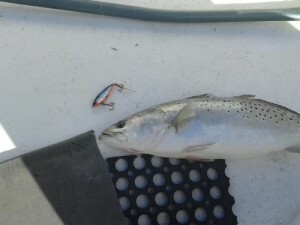 Speckled Trout, Black Drum, and Flounder also can be caught in these areas on Fly or Spin Tackle. Local knowledge, experience, and patience are necessities when trying to successfully stalk and catch redfish. 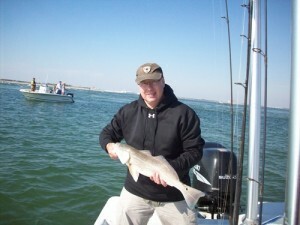 Our goal is to provide a great, safe time on the water with the best opportunity to catch fish. 1 to 4 people, no experience needed (novice to experienced angler); we supply all the tackle including bait.Prices start at $300 for 2.5 hours, $400 for a 4 hour trip, $600 for 8 hours. 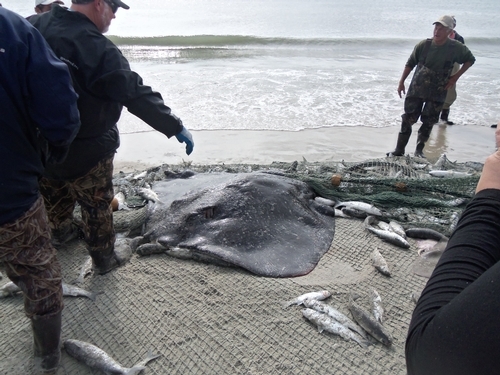 So do you think you’re ready to do battle with one of our largest predators right off Atlantic Beach NC. Here every week is Shark Week, bring your “A” game! Feel the raw power and the fight these fish bring to the table. 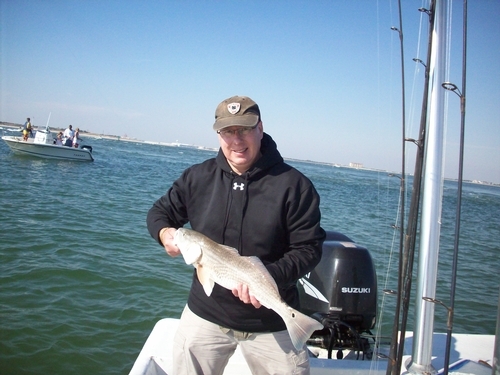 We have blacktip sharks, spinner sharks, bull sharks, tiger sharks, bonnet sharks, sand sharks; most of the fishing is done right out of Beaufort Inlet, just a short boat ride from the dock. During the spring, summer and fall Cape Lookout’s nearshore reefs, wrecks and beaches become inhabited with many migratory species. You can expect to catch big red drum (25 to 40lbs. 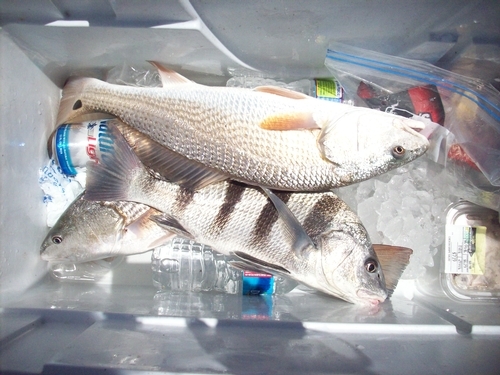 ), cobia, false albacore, bonito, king mackerel, spanish mackerel, sea bass, grouper, amberjacks, and bluefish. 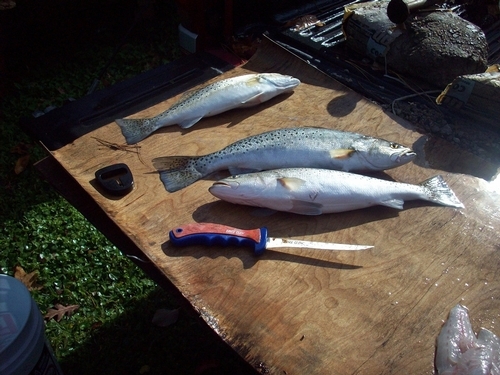 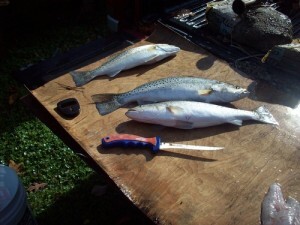 The reefs provide anglers with a variety of species. Captain Dave Dietzler of Cape Lookout Charters will provide the best chance to target these fish. 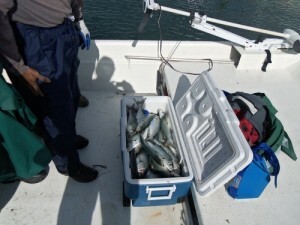 Full Day Trip that is a combination of both fishing and exploring our amazing coast. 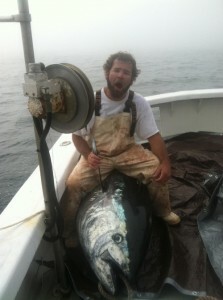 $725 for a 8 hour trip.